I have never been to Paris in the flesh. 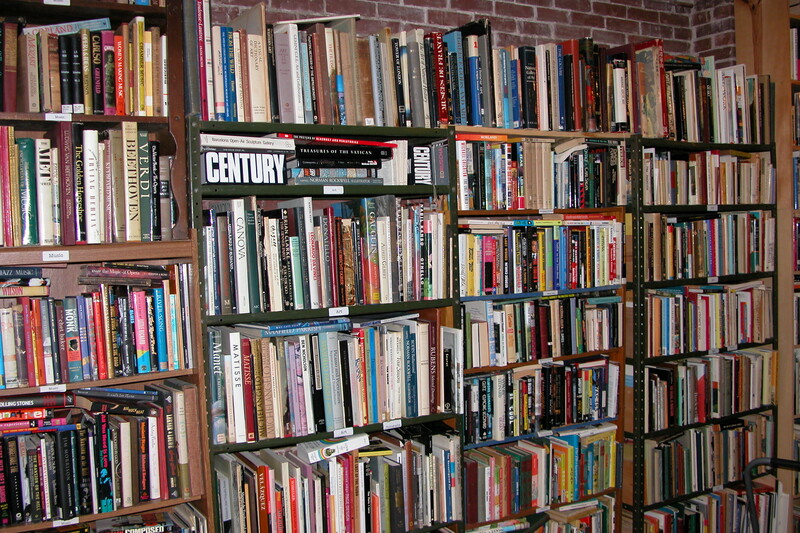 Like any self respecting reader, though, I have lived in the Paris of the imagination, transported by the pages of hundreds of books. And so in the midst of a long walk on a cold, grey autumn day I knew that was exactly where I was. It was the Paris of my imagination on a Pittsburgh afternoon. 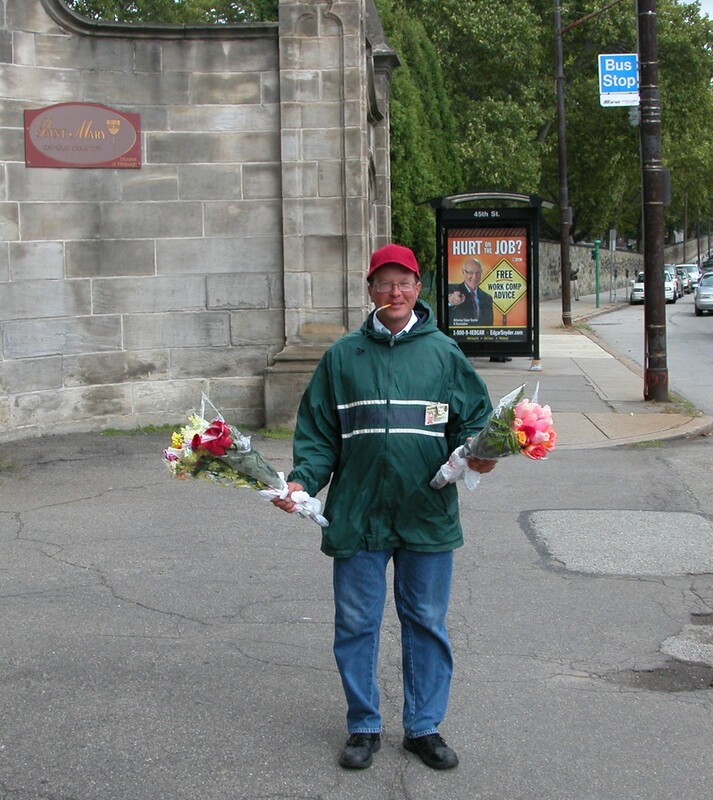 First we came upon a flower vendor, selling roses in the rain. Before I moved to Pittsburgh, I had a great deal of trouble reconciling the fact that flower venders in literature had such a low social standing. It was hard for me to accept the fact that Eliza Doolittle was so very declasse. I lifted my nose out of the book and puzzled over it several times. I could not personally imagine a more pleasant prospect than to be surrounded by masses of flowers on the streets of a great city. Then I arrived in the city. I was fascinated to note the flowersellers standing on streetcorners in the burning sun and driving sleet, doggedly offering bunches of roses and clenching cigarettes in their teeth, many of which were missing. The portrayal of flower venders in fiction began to make much more sense. Beyond the flower man is a long, high stone wall. 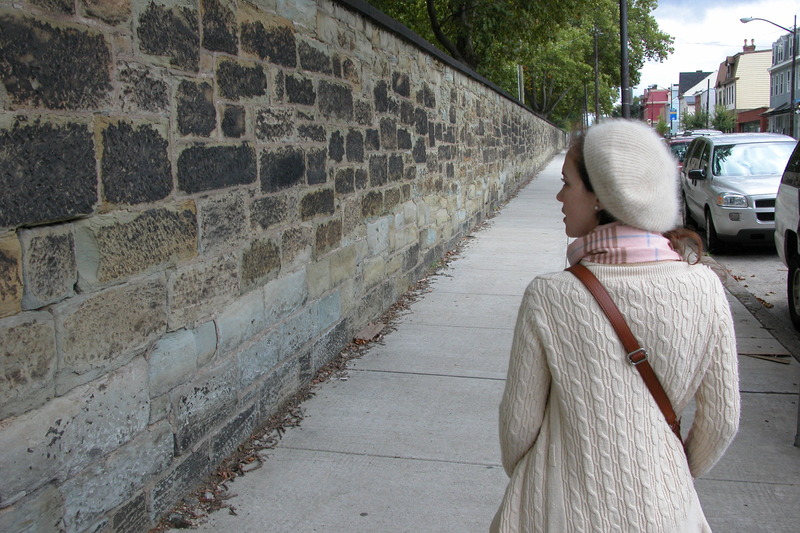 I loved the way this picture captured the texture of the weathered stone set against Christina’s cable knit sweater and angora beret. 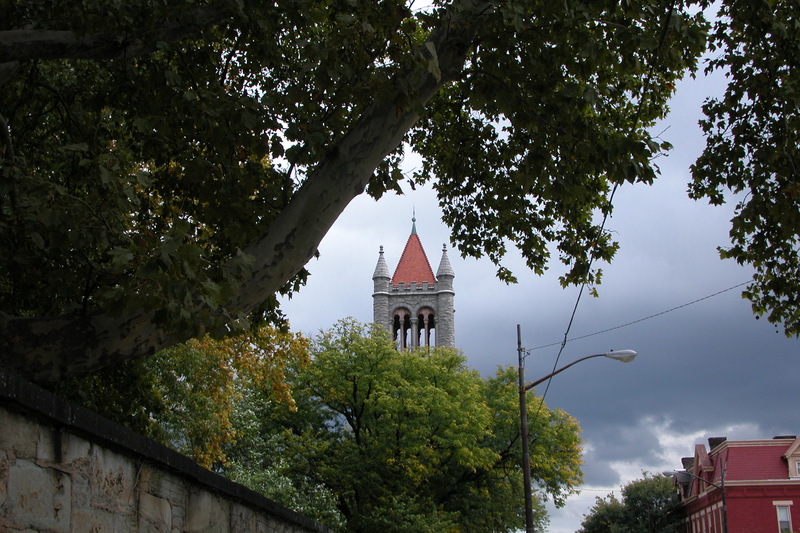 The wall leads to a castle like tower and gatehouse for the Allegheny Cemetery. 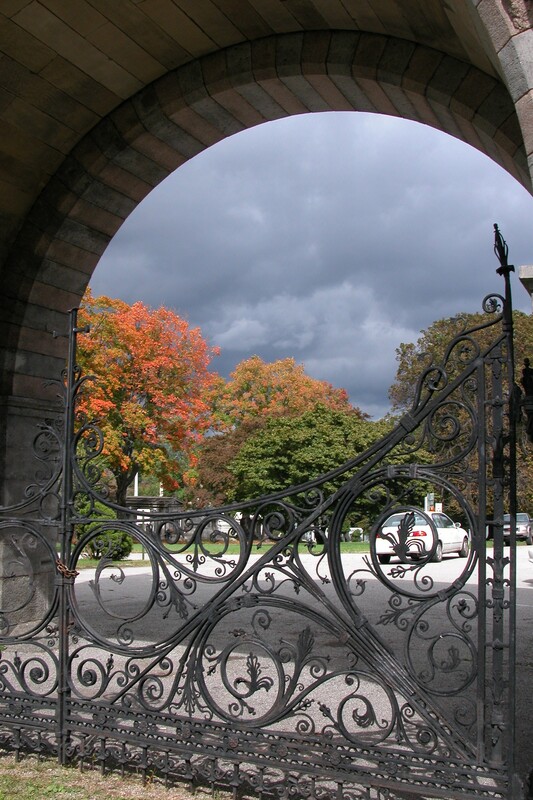 Storm clouds were rolling in, which made for some dramatic scenes through the stone arches at the gates. I think this is the most beautiful ironwork I have ever seen. It reminds me not of Paris, but of Trinity by Leon Uris. I love that book. Christina is a librarian and a dreamy medieavalist and Europhile. 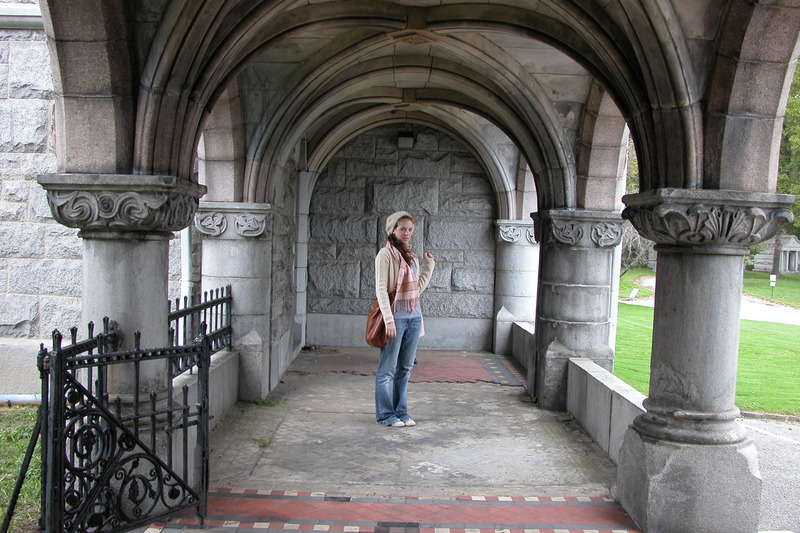 She looked entirely at home under these low stone arches. 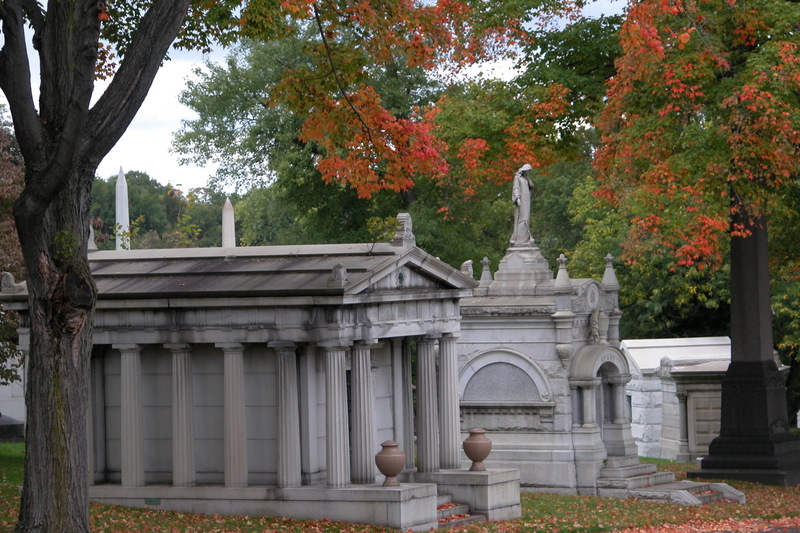 The Allegheny Cemetery is beautiful, particularly in the autumn. In keeping with our Parisian theme, I took a picture of this tall and dignified edifice against the gloomy sky. Take a close look at the name on the tomb. 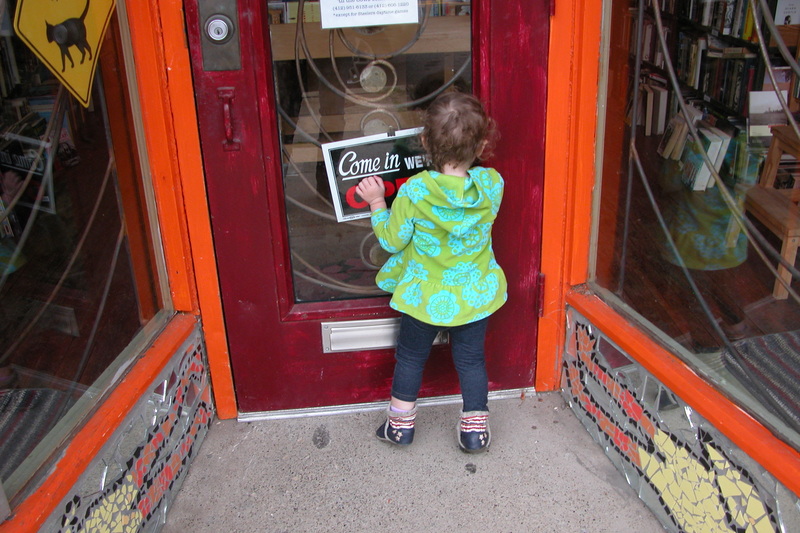 Back on the city streets, Olympia’s attention was completely captured at this shop window. 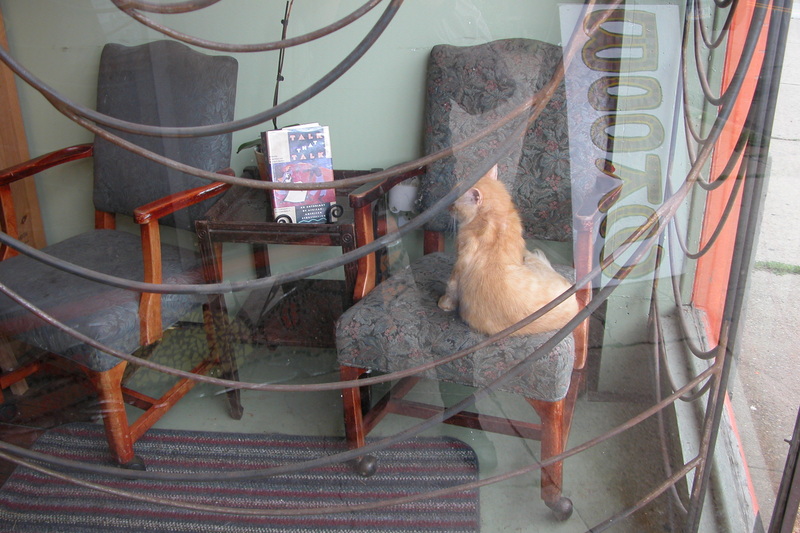 Olympia loves this store because there are cats curled up in the window. It is impossibly alluring. 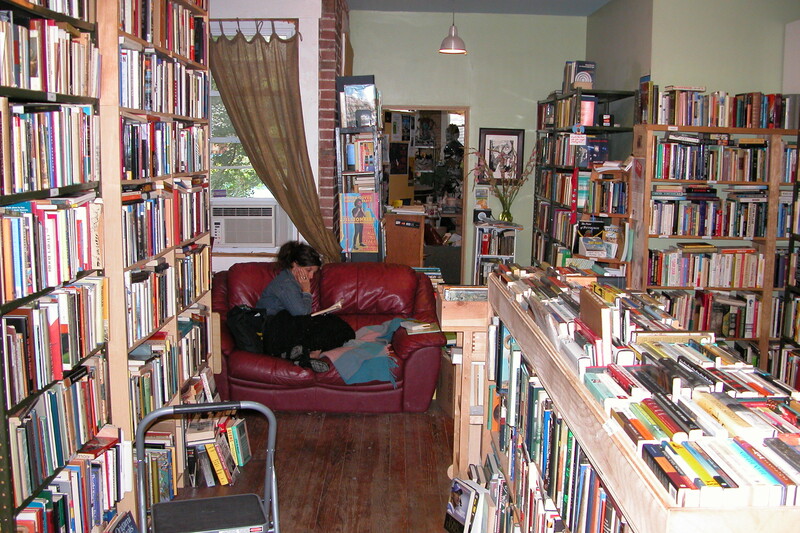 Christina and I loved the store because it is that rarest of things, a new Independent Bookstore. There were lots of appealing nooks and crannies. And a unique and lovely sense of aesthetics- even if I secretly want the painting in this picture without the head of a cat painted onto the woman in a red gown. You’ll just have to use your imagination. 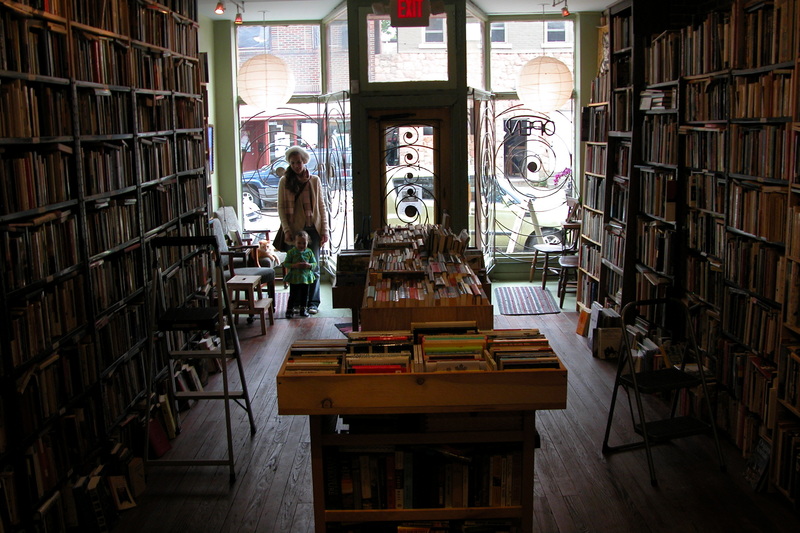 The lovely aesthetic seems to stem from a studio of some sort, glimpsed through the back of the bookstore. Evidently the shop is run by a couple of artists with great taste. Very Parisian of them, in my opinion. 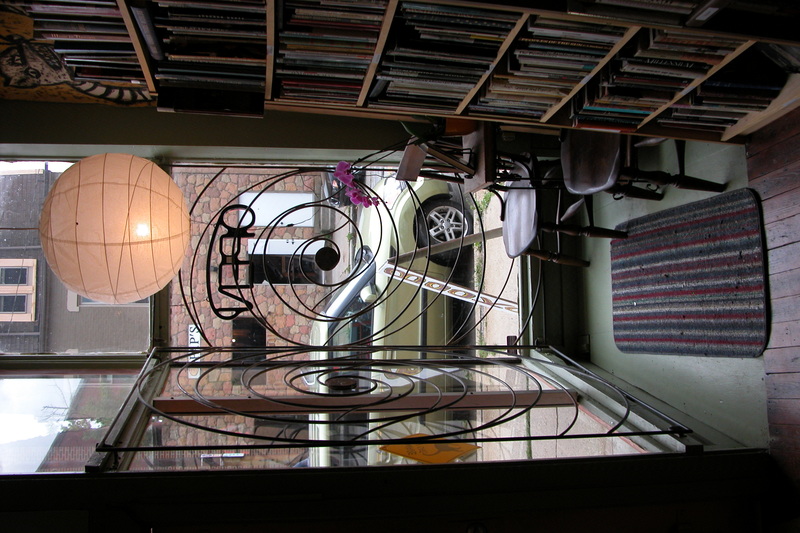 Wouldn’t you like to buy one of these books and curl up under this window on a rainy autumn afternoon? 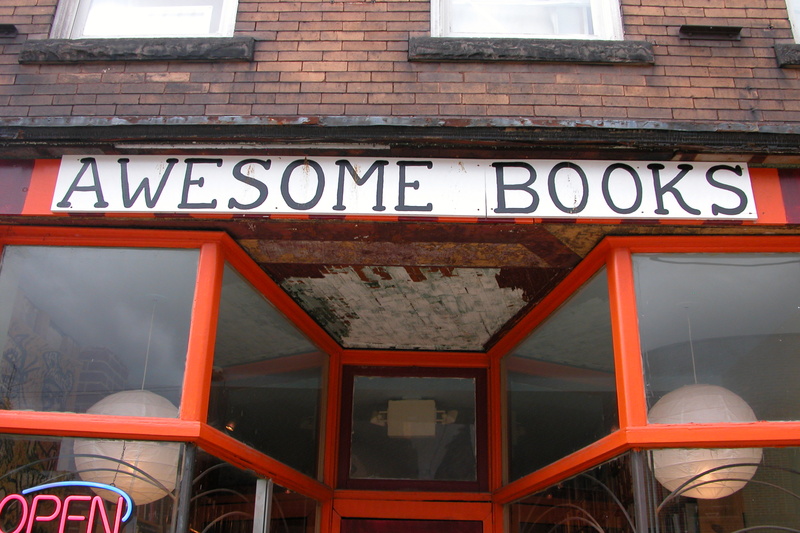 If you are in Pittsburgh (or planning to visit) I highly encourage you to check out Awesome Books at 5111 Penn Ave in Garfield. 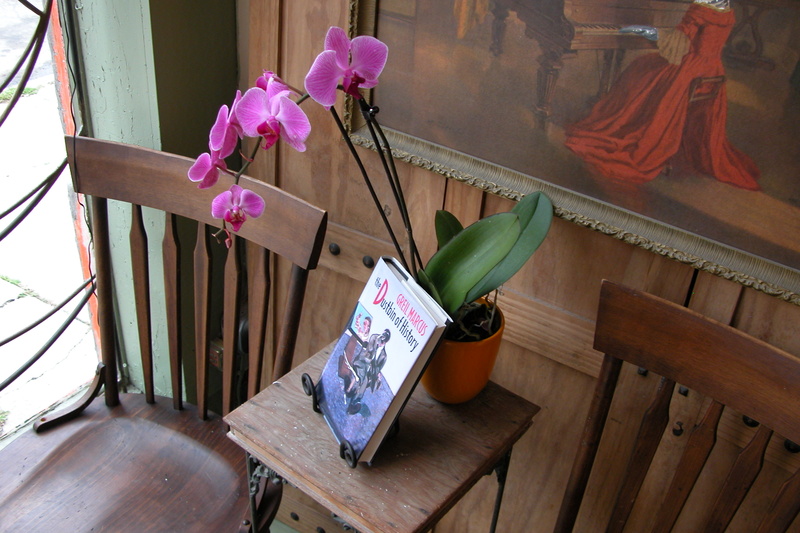 While you’re there, pick up a copy of local author Brian O’Neill’s book The Paris of Appalachia. It’s on my list- if you beat me to it, let me know how it is. This entry was posted in Kate and tagged books, Imagination, Photography, Pittsburgh on October 3, 2011 by sweetridgesisters. Great photos! Loved the A.French tomb had to wonder if they are related to cousin Teri Houlahan whose maiden name is French. You should know, with your regular trips to Scotland. Ha. 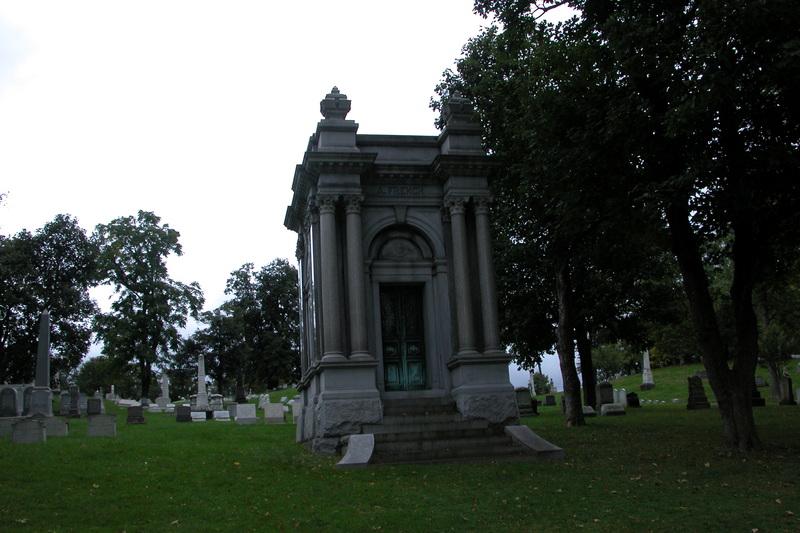 I also love the A. French tomb, and I think the cemetery pics look a lot like Parisian cemeteries. I used to eat a pastry in the Montparnasse cemetery (near where I went to school there) once a week. 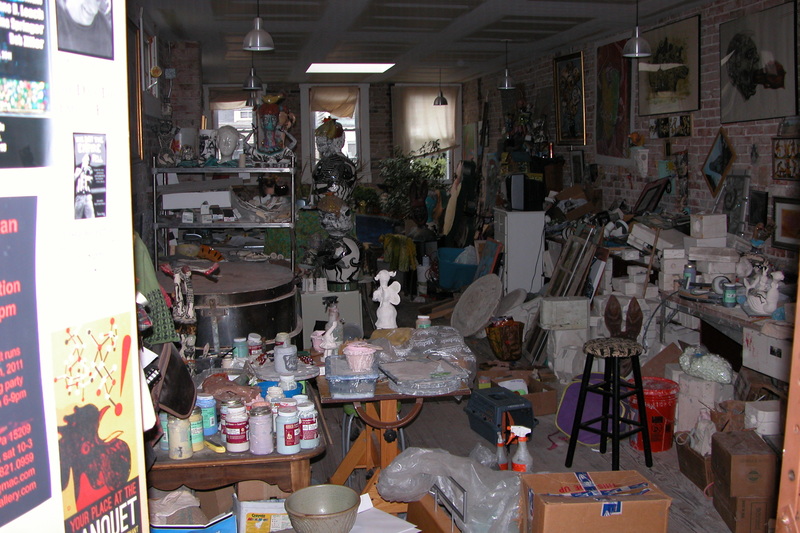 It was such a peaceful, verdant space–I loved it. Thank you for taking me to Paris via Pittsburgh. I’ve never been to either. Your stone wall image with Christina and your image of Olympia looking in the door are my favorite of your photos. They capture a mood and sense of place that make for strong, strong images. Thank you! I’ll keep trading you my Pittsburgh adventures for your beautiful Midwestern ones. I actually thought that first picture was Père Lachaise cemetery until I looked closer. Beautiful! Who needs Paris when you have it all in your backyard? Thank you! That is great to hear, as I haven’t been to Paris and haven’t even seen too many pictures. Glad to hear my hazy novel fueled concept is roughly accurate. I do hope to see Paris sometime.. but I’m glad to be living here. 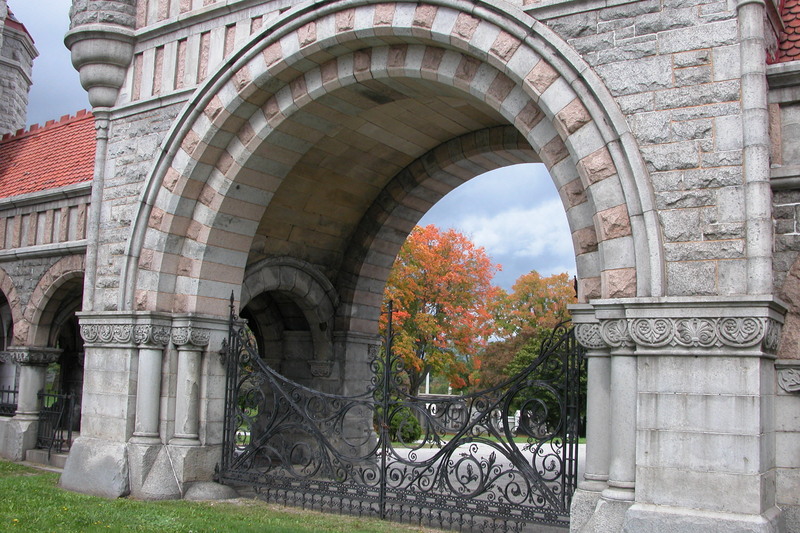 I walked the Allegheny Cemetery in the fall last year during a very hard time in my life. St. Mary’s, its neighbor, as well. I found solace in the nearly weather-resistant stone and the ephemeral golds and reds of the crisp leaves. I found solace in the inexplicable combination of mourning and hope that I found in these urban oases. The beauty of nature sharing space with city edifices, all against the backdrop of the changeable Pennsylvania autumn sky. Thank you for sharing these and for loving Pittsburgh.